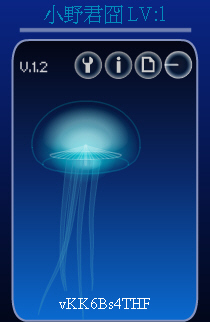 Generation Ⅰ, Has a round head, long tentacle, with a blue transparent body. Generation Ⅰ, Shape like a bell, short tentacle, with a nearly transparent yellow body. Generation Ⅰ, Shape like an umbrella, medium long tentacle, with a red transparent body. 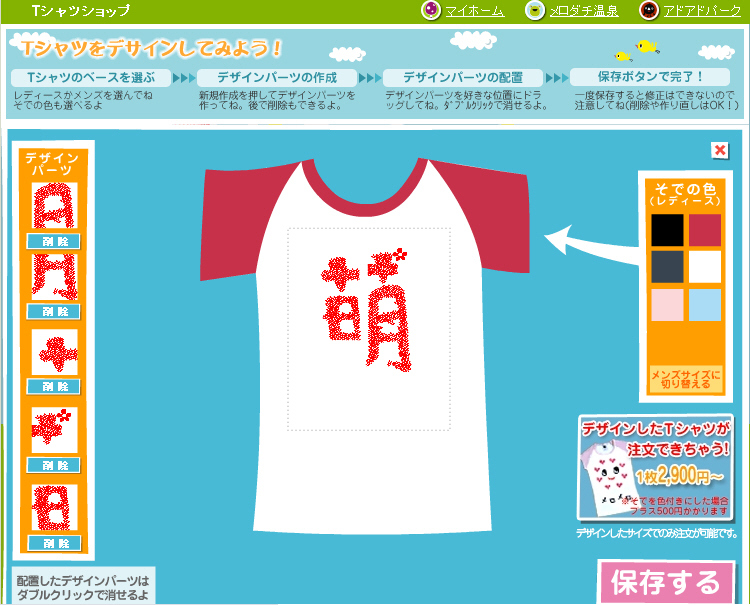 Generation Ⅰ- mutation, with golden bell’s heart, which unable to breed. Generation Ⅱ, the mixture of ocean flame and golden bell. Has a protruding umbrella shape head, short tentacle, with a nearly transparent orange body. Generation Ⅱ, the mixture of blue moon and ocean flame. Has a shiny round head, medium long tentacle, with a purple transparent body. Generation Ⅱ, the mixture of blue moon and golden bell. Has a protruding round head, short tentacle, with a nearly transparent yellow body. Generation Ⅱ- mutation, the mutation of yellow submarine. With lantern umbrella’s heart, unable to breed. Generation Ⅲ, the mixture of ocean lavender and yellow submarine. Has a round head, short tentacle, with a nearly transparent white body. Generation Ⅲ, the mixture of ocean lavender and lantern umbrella. Has a round head, long tentacle, and a luminescence blue body. Generation Ⅲ, the mixture of lantern umbrella and yellow submarine. Has a protruding umbrella shape head, short tentacle, with a nearly transparent orange body. Generation Ⅲ- mutation, The mutation of mirage. With ivory spirit’s heart, unable to breed. Generation Ⅳ, the mixture of ivory spirit and mirage. Has a round head, long tentacle, and a transparent white body. Generation Ⅳ, the mixture of mirage and yellow devil. 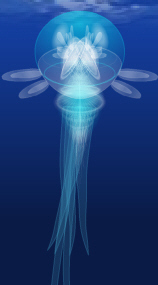 Has a petal shape head, long tentacle, and a luminescence colorful body. Generation Ⅳ, the mixture of ivory spirit and yellow devil. Has a long and thin head, short shiny tentacle, and a transparent white body. Generation Ⅳ- mutation, the mutation of prince of ocean. With flora’s heart, unable to breed. Generation Ⅴ, the mixture of prince of ocean and blue melancholy. With a long and thin protruding head, long tentacle, and a transparent blue body. Generation Ⅴ, the mixture of flora and blue melancholy. Has a round protruding head, long tentacle, and a transparent green body. Generation Ⅴ, the mixture of prince of ocean and flora. Shape like a tray, with short tentacle, yellow head and a transparent white body. Generation Ⅴ- mutation, the mutation of Green torpedo. With blue cactus’s heart, unable to breed. Generation Ⅵ, the mixture of torpedo and sunny side up. 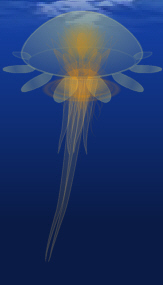 Has a protruding petal head, together with long and short tentacle, and a transparent green body. Generation Ⅵ, the mixture of blue cactus and torpedo. 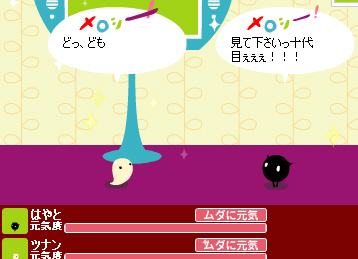 Has a round protruding head, long tentacle, and a transparent purple blue body. Generation Ⅵ, the mixture of sunny side up and blue cactus. With a long and thin protruding head, long tentacle, and a transparent white body. Generation Ⅵ- mutation, the mutation of swan. With purple rain’s heart, unable to breed. Generation Ⅶ, the mixture of green jade and purple rain. Has a round shiny protruding head, long tentacle, and a transparent green body. Generation Ⅶ, the mixture of purple rain and swan. 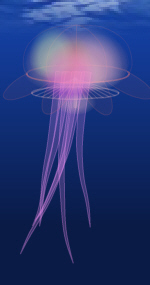 With a long and thin head, long tentacle, and a transparent pink body. Generation Ⅶ, the mixture of swan and green jade. Shaped like a butterfly, with short tentacle, and a transparent yellow body. Generation Ⅶ- mutation, the mutation of alien. With yellow butterfly’s heart, unable to breed.